I’m moving out of my house in less than two weeks, and in an attempt to be more organized than I ever have been, since I will be going across the country, I am going through EVERYTHING. It’s terrible. I’ve refound some pretty awesome things as I go through all this stuff. My high school yearbooks I’d thought were lost, pictures, things my grandma made me (she passed away in September, so that was really cool to see again) and a lot of random artifacts from my life. It was really funny to find all these old notes passed between my friends and I, and to see pictures of me from junior high and high school, sometimes with friends I don’t really know anymore, but I can remember the dress I wore! 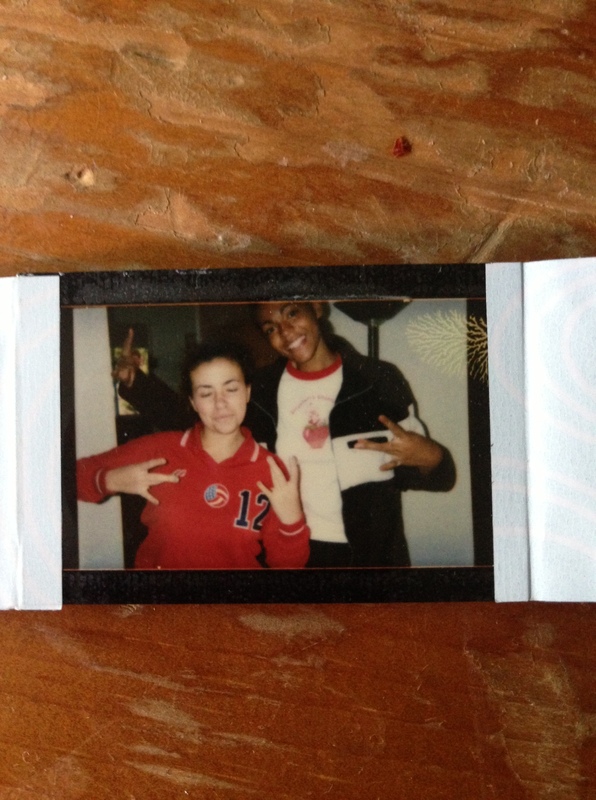 Or the pooka shell necklaces. haha. A CD from the band my drummer boyfriend was in brought back a lot of memories of making out in vans and thinking I was really cool. The garter from senior ball. 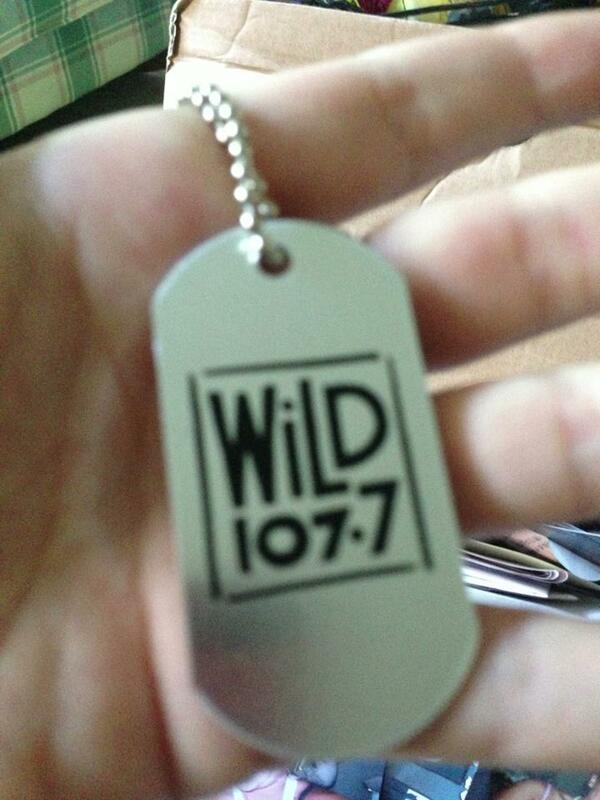 A dog-tag necklace from a favorite radio station that is now defunct. 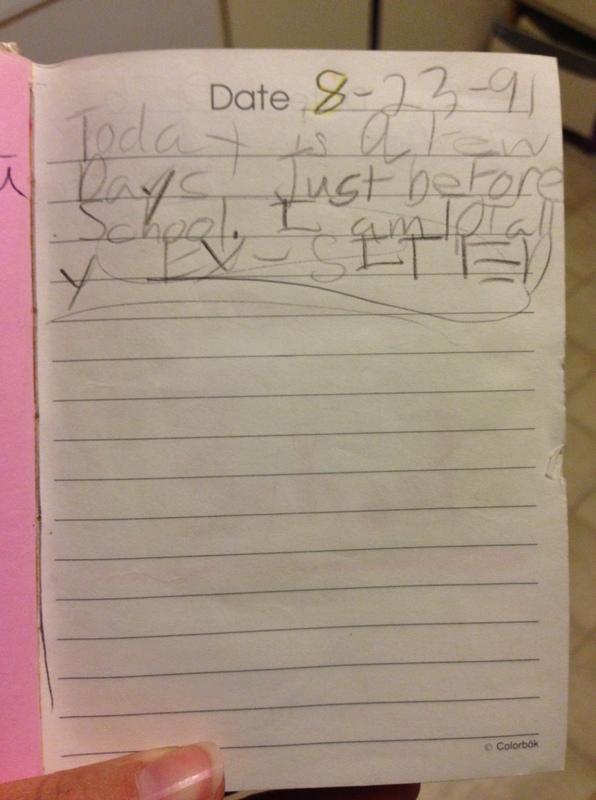 I picked up an old diary, my first one. I can remember getting it as a back to school present, and it had a lock and key, and I was VERY concerned that anyone might find it. First entry. I’m 7 years old. It’s been hilarious to read, but there were parts that made me sad. There was a lot of hurt written on those pages. A lot of anger with my parents and authority in general. 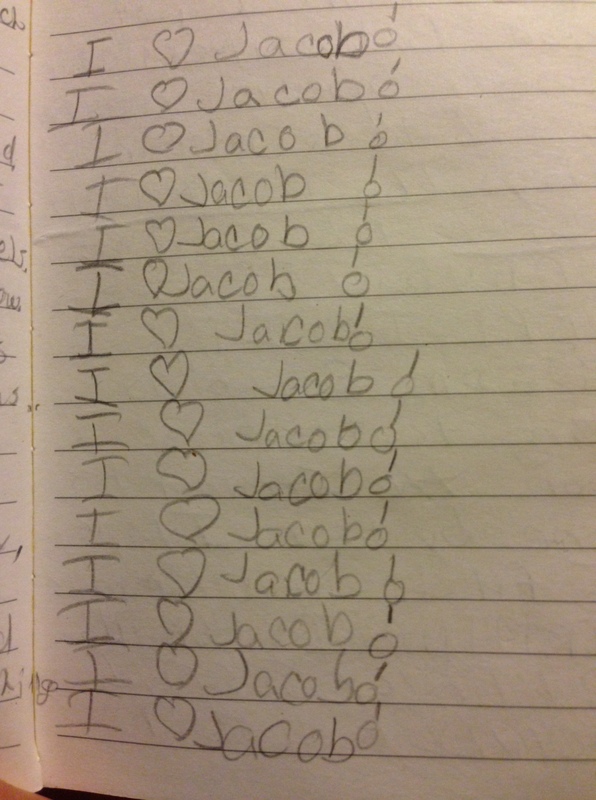 Heart broken over boys (hearts and stars around the names Luke, Jacob, Jake, Chris, etc. crack me UP!). Friends being mean. Even at eleven years old, I already hated my body. There are days where I list everything I ate that day, and plotted how to lose 40 pounds in two years. This is in fourth and fifth grade! Isn’t that terrible? The Janice in that entry also made me cry for saying I believed in Jesus, and that I listened to country music, so I would never be cool. She was a real winner. Those entries made me sad, reliving the pain of that girl who wrote them. But it’s funny because I could have never remembered any of that without the diary. 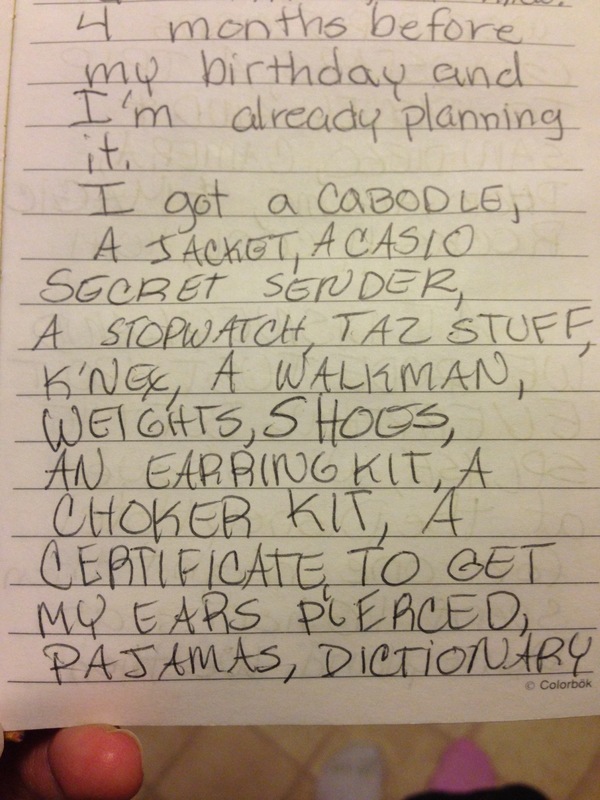 I mostly laughed about the entries where I agonize over getting my ears pierced, or wishing I would get my period soon, or my Christmas haul from 1995. So I think I can toss this artifact into the trash, now that I’ve digested the funny stuff and reported to you (really to myself) here on this blog, for all of time. I still have my diary — somewhere. It’s interesting to see how my writing style has evolved over the years.